CM Punk has always been a hugely popular figure in the WWE. The Straight Edge Saviour is fantastic on the microphone, a great wrestler and has recently turned his attention to MMA. He is beloved by his fans and has had a fascinating career path in his quest to become the best in the world. Let’s take a look at some of the greatest moments of CM Punk’s career. CM Punk’s unique talents extend beyond wrestling and some of his greatest moments came with a microphone in his hand. That was certainly the case in the 2010 Royal Rumble in an event which many CM Punk fans will remember. It’s never clear what will happen next in a Royal Rumble as Punk entered third, eliminated both Dolph Ziggler and Evan Bourne before going on a lengthy rant and fulfilled his role as leader of the Straight Edge Society. “These are just the first of 29 other men that will be thrown over the top rope or, if they have the courage that the WWE Universe lacks, they can be saved,” Punk hollered before throwing JTG, Beth Phoenix and Zack Ryder out of the ring. He was eventually knocked out by Triple H but Punk’s preaching marked the start of a memorable Rumble. One of CM Punk’s biggest gripes with the WWE organisation was the lack of attention he received from the media. “I’m not on the poster of WrestleMania, I’m not on the signature that’s produced at the start of the show. I’m not on Conan O’Brien, I’m not on Jimmy Fallon, but the fact of the matter is I should be,” Punk said in his famous Pipe Bomb speech and he eventually got his wish. WWE Superstars can be very hit or miss when being interviewed by people outside of the wrestling world but CM Punk’s television appearances were hugely entertaining. He was funny and charismatic on NBC’s Late Night with Jimmy Fallon but it was an appearance on ABC’s Jimmy Kimmel Live! which was his best. Punk took part in a hilarious skit with a young John Cena fan that was heartbroken after his hero had lost his WWE Championship belt. Punk showed up with the belt in hand and didn’t let the kid forget it. CM Punk has had tremendous success at Money in the Bank events down the years. His best-remembered match was his shock victory at Wrestlemania XXIV. The up-and-coming Punk beat out the likes of Mr Kennedy and Chris Jericho to grab the briefcase. His success the following year was a little less surprising but just as impressive. In 2014, CM Punk walked away from the WWE. According to GiveMeSport, Punk claimed that WWE’s medical practices put his life at risk and after treatment, he announced that he would be moving to MMA. CM Punk wasn’t the first WWE superstar to swap the wrestling ring for the octagon and he surely won’t be the last. Punk signed a contract with the always shocking UFC in December 2014 with his first fight scheduled some 15 months later. Mickey Gall was his opponent but the match was rescheduled after Punk suffered an injury. The bout eventually got underway in September 2016 with Gall winning in the first round. Punk hasn’t fought in the UFC since but his next fight is scheduled for June 9, 2018. Mike Jackson will be his next opponent and the Houston-born fighter is the clear 2/5 favourite to beat CM Punk on Betway as of 18 May. It’s bold of Punk to step back into the ring after such a disappointing first match and we can only wait to see how he will get on. 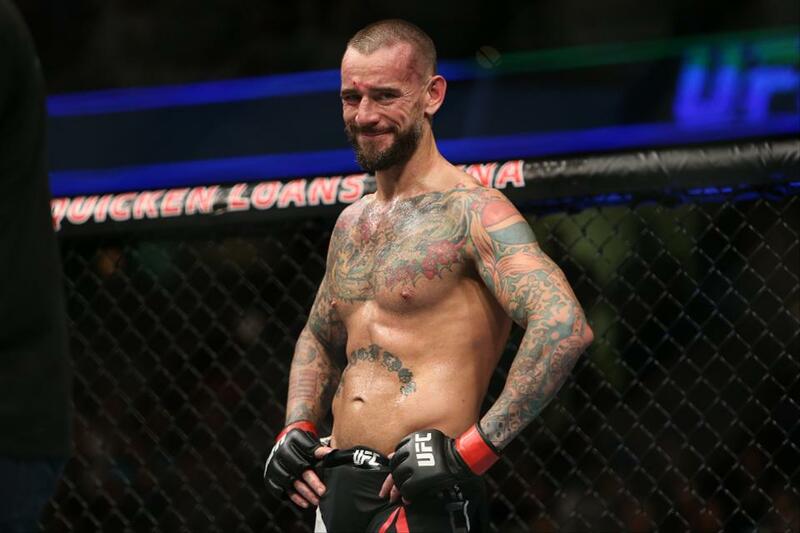 In a hugely memorable moment, CM Punk went from something of an undersized figure to a true WWE titan. He waited patiently for an opportunity to cash in his briefcase and it came on June 30, 2008. A frustrated Batista had just taken it all out on Edge who was lying prone in the ring. Punk burst into a roaring stadium and seized the opportunity. Within seconds the match was over and CM Punk became The WWE World Heavyweight Champions for the first time. It has been ranked by What Culture as one of the best Money in the Bank cash-ins of all time. It has become a legendary moment in recent WWE history and it all started when CM Punk intervened in a match between John Cena and R Truth. Punk grabbed the mic and sat down cross-legged as he went on an unforgettable seven-minute rant about how he has been untreated by Vince McMahon and the WWE organisation. “Maybe this company would be better when Vince McMahon was dead but then it would be taken over by his idiotic daughter and doofus son in law,” Punk told the stunned crowd in a promo which laid the foundations for what was the best moment of his professional career. This would be the greatest moment of almost any wrestler’s career. The stage was set for a perfect match and Punk v Cena delivered. After a lengthy feud and amidst the backdrop of the impending expiration of Punk’s contract, the Straight Edge Saviour faced off against WWE’s golden child, John Cena, a man who it is always worth taking a punt on. It was a spectacle of a match in front of Punk’s hometown crowd as Punk ignored the intervention of Vince McMahon to defeat Cena and win the WWE Championship. With his WWE contract set to expire in less than an hour, McMahon hastily sought an intervention from Money in the Bank winner, Alberto Del Rio. Punk overcame the challenger before hopping into his hometown crowd and exiting the stadium with the WWE Championship Belt in his hands.